Members $20 | Non Members $25 | Students $10. The New York Times has called Raul Midón “a one-man band who turns a guitar into an orchestra and his voice into a chorus.” Along with releasing 10 studio albums as a solo artist– he has collaborated with Herbie Hancock, Steve Wonder and Bill Withers as well as contributing to recordings by Queen Latifah and Snoop Dogg. 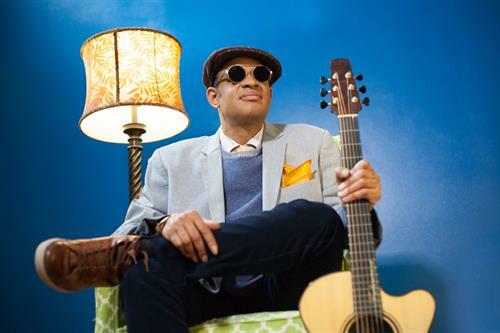 People Magazine dubbed Midon an “eclectic adventurist.” Whether touring internationally, performing on NPR’s Tiny Desk Concert series, or leading residencies with young people, Raul Midón is a must see music event.